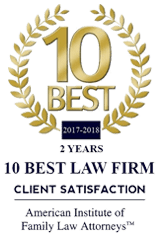 Top Rated Lawyers for Debt Relief in Miami Florida. If you need debt relief from bills, creditor calls, mortgage arrearages or financial disputes have created a problem in your life, there may be a solution. Before your financial situation gets worse, it pays to discuss your options with our Lawyers for debt relief in Miami. At Marrero, Chamizo, Marcer Law, LP, our Lawyers for debt relief are here to help you explore solutions to unmanageable debt problems or financial disputes. We are a bilingual full service law firm serving clients throughout the Miami-Dade area with offices in Miami. Our Lawyers for Debt Relief have been trusted for over 30 years. We offer a free case evaluation to discuss your financial concerns. Filing Bankruptcy: If you have more debt than you can pay, Bankruptcy can help you get a fresh financial start. Stop Foreclosure: There are ways to stop a Miami Dade Foreclosure. However, you must act quickly. You only have 20 days to respond once you receive the foreclosure papers. If you fail to respond in time, you may lose your right to defend it. Mortgage Loan Modification: Banks usually drag their feet when you seek a mortgage loan modification. It often takes a Mortgage Lawyer to help you reduce your mortgage payments. Settlement (litigation): If you have contemplated filing a lawsuit, have been served with a lawsuit, or are otherwise subject to a lawsuit involving a financial dispute, our Attorneys are ready to help. Our experienced Litigation Attorneys will determine the “value” of your case and explain the risks involved. You should never let a debt problem linger. Bad things can happen if you do nothing. You can be sued, have your bank account or wages garnished, your car may be repossessed, or your property can be sold and taken away from you. You could lose valuable assets that you could have otherwise kept if you acted earlier. Contact Our Lawyers For Debt Relief in Miami Today! Before you lose any more sleep over debt problems or a financial dispute, call 305-446-9466 to speak with one of our Lawyers for Debt Relief about solutions to resolve your debt. We are a debt relief and debt collection Law Firm. We help people find solutions to their financial problems and also help people file for bankruptcy relief under the Bankruptcy Code.